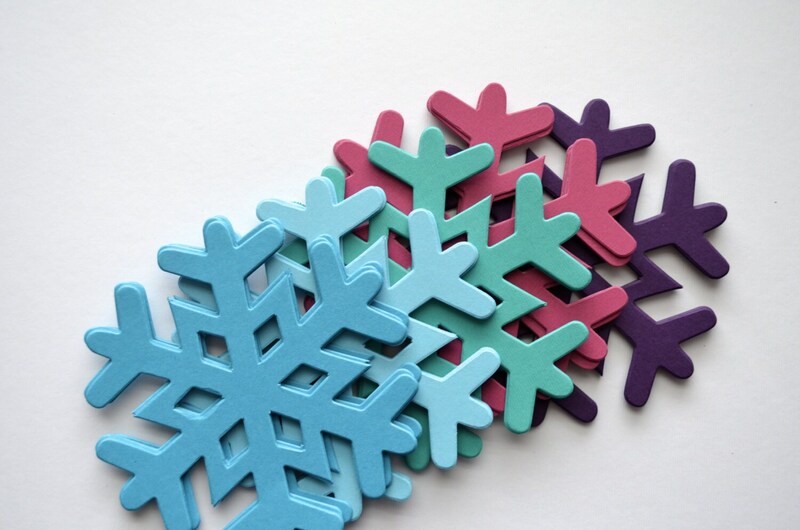 Frozen Snowflake Sets, 30 pieces. Choose from White, Icy Combo or Anna's Combo! 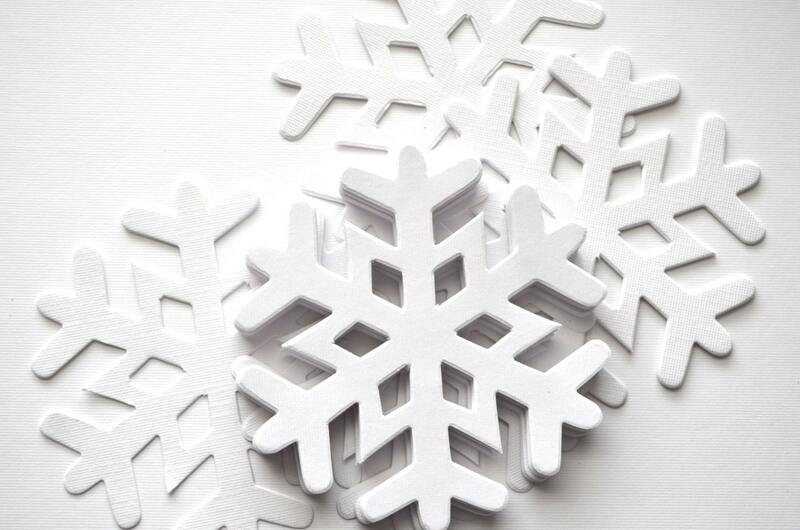 These snowflakes celebrate the frozen winter! 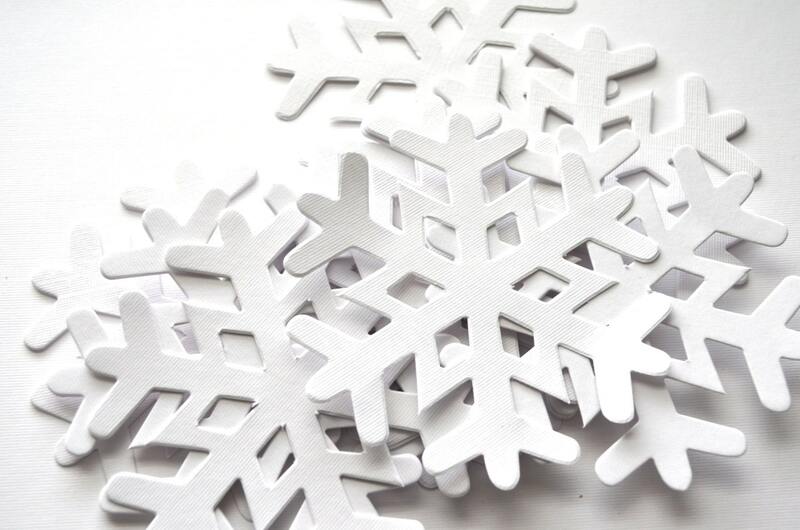 We created these sets of loose snowflake pieces after customers requested pieces that they could use to complete their party's look, whether by scattering them across the table, hanging them from the ceiling or attaching them to a photo backdrop - these sets have been the perfect solution! 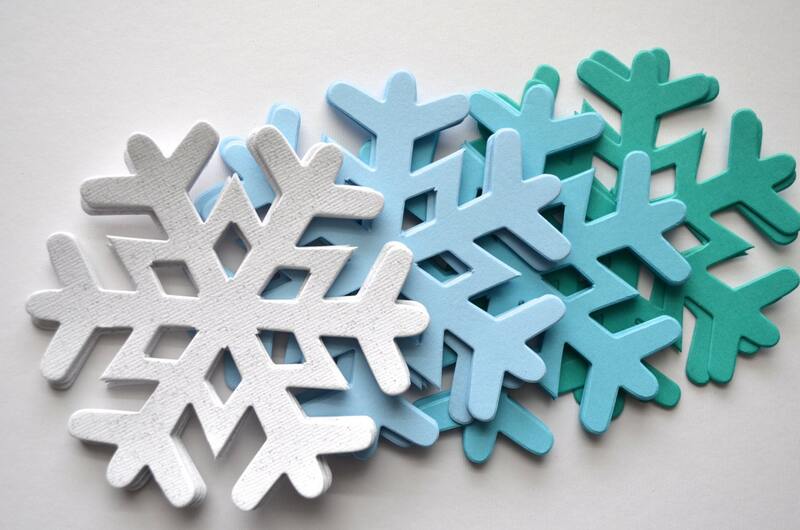 These snowflakes are each about 4 1/2 inches across and each one is punched from lovely heavy weight card stock. Each set includes 30 pieces. 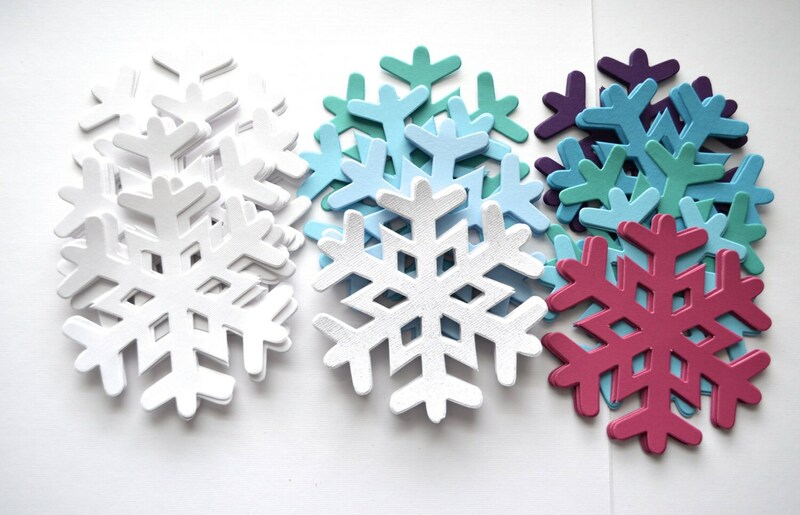 Choose from all White Snowflakes, the Icy Snowflakes (8 glitter white, 8 light blue, 8 icy blue and 6 teal) or Anna's Snowflakes (6 icy blue, 6 teal, 6 sky blue, 6 raspberry and 6 purple). Perfect for my daughter's Frozen birthday party!